good news for Virtual Machine addicts : VirtualBox team has fixed issues which were preventing VirtualBox to work properly with GNOME Shell. You need VirtualBox release 4.0.8 (minimum) and GNOME 3 live image release 1.3.0 (it contains updated VirtualBox guest additions, required for openGL). 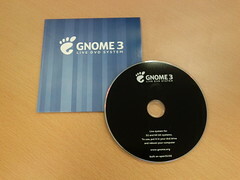 a quick post for people who want the GNOME 3 promo DVD iso image (it is based on 1.1.0 image, combining both x86 and x86-64 images and some demo video and music). Beware this image will not be updated, it is just there for archiving purpose.